Where you can find the best durians in the world? The answer is easy, Malaysia. If you have really good durians in Singapore, well that is imported from Malaysia. We did quite a number of food and shopping postings in the past and we travel to places. 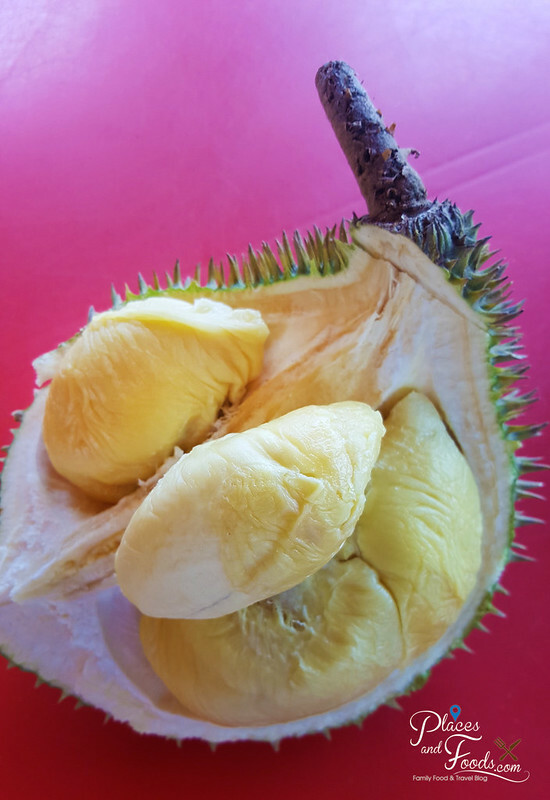 For this durian story, we travelled around and it is important for us to have internet to discover and post all the updates in our social media networks. This is where Digi Prepaid works perfectly for us. With Digi Prepaid, whenever we running out of data, we’ll just have to pay RM 3 for 2 GB daily. More info here. We travelled to places for durians and some as far as Pekan and Raub in Pahang. However, we do find many reliable durian stalls in Klang Valley so we don’t need to go far for good quality durians. Our favourite durian stalls include Sinnaco Durian Specialist in SS19, Durian King TTDI and Sg Chua Durian Stall. 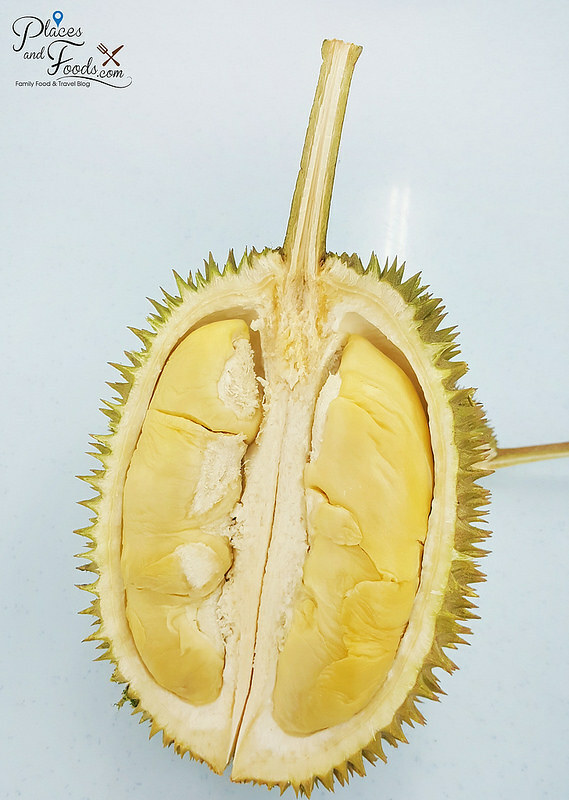 Durians from Malaysia have stronger taste and scent. In Malaysia, durian growers wait for the durians to drop so it means it is ripe and the durians are good to eat within one week. That is another reason durian sellers and exporters have limited time to clear the durians. There are hundreds of durian types in Malaysia and the numbers are growing. 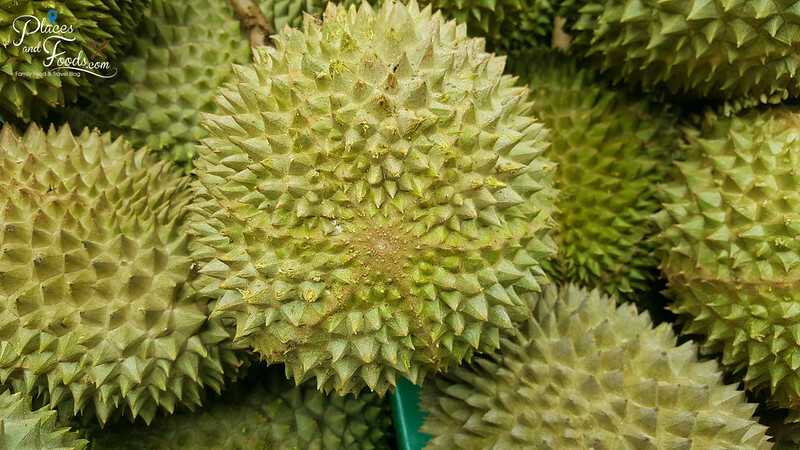 The reason is durian growers are looking for newer durian types that offer better taste. For example, the Black Thorn durian is a hybrid from 2012 that some claimed taste better than Musang King. The Penang origin durian Black Thorn beats Musang King in a durian tasting competition in 2012. With the new durian types, the prices of durian are pushed to record high in this few years according to their popularities. Hence, with bad weather and high demand from China and Singapore, the popular durian types have never been pricier. We are big fans of durians like most Malaysians. We live durian, we eat durian and we breathe durian. 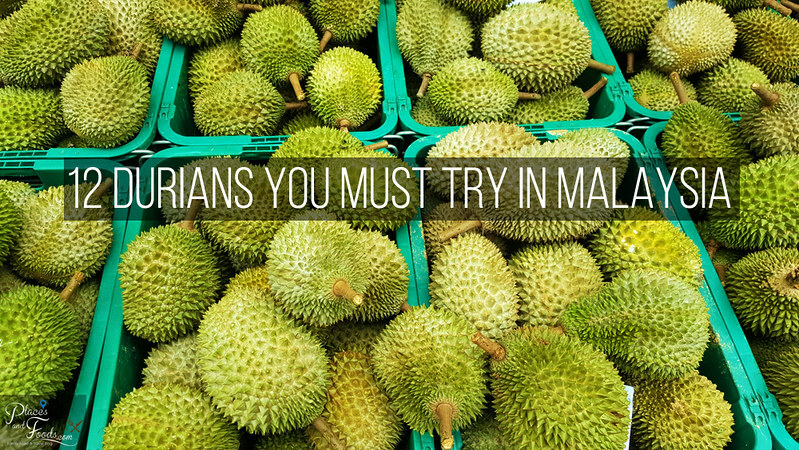 With over hundred types of durians, we recommend the 12 Durians you must try in Malaysia. The list will grow once we identify more unique durian types in the future. 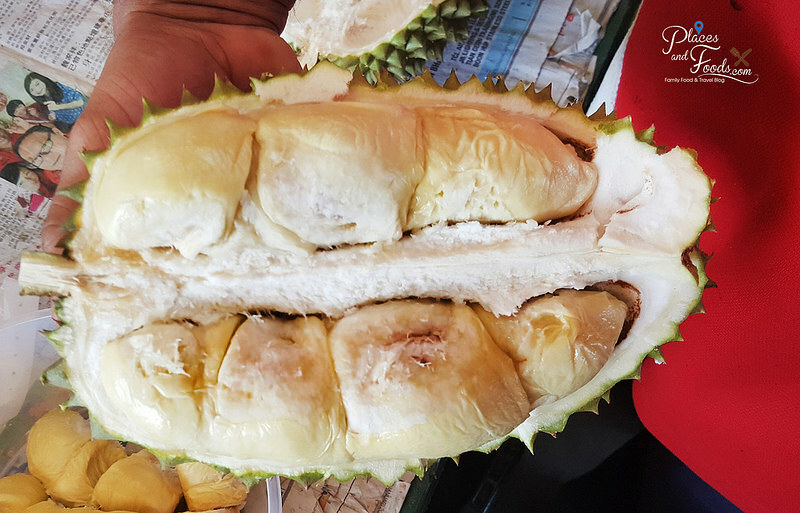 Musang King or ‘Mao Shan Wang’ in Chinese is the most popular durian type in Malaysia. The durian comes with golden yellow flesh and the taste is creamy, filling and satisfying. The prices of Musang King rocketed from RM 20 per kg a couple years ago to RM 120 per kg now! 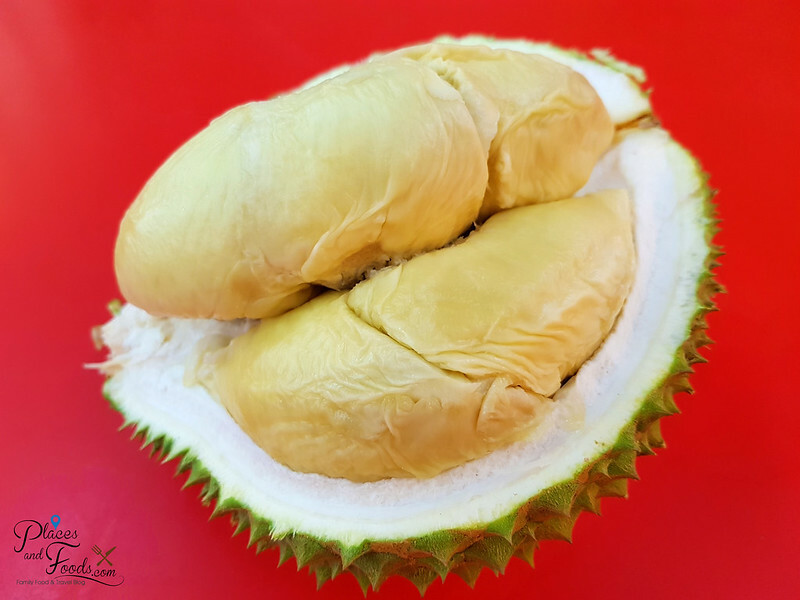 There are many grades of Musang King and that’s why it is important to know where to get your durians. Golden Yellow Musang King Flesh. Musang King is also high sought after in Singapore and China so the better grades are exported for more money. 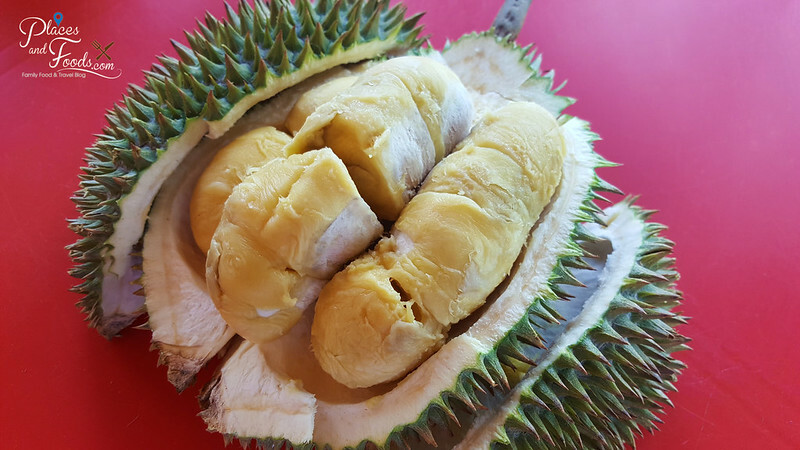 There are also reports that Chinese businessmen are investing in durian farms in Malaysia due to the high demand of Musang King durian from Malaysia. In 2012, Black Thorn a new durian type beats Musang King in a durian competition in Penang. Can you spot the black thorn? The reason it is called Black Thorn because there is a small black ‘tail’ at the bottom of the durian. This durian is quite unique with its pale orange flesh. The taste is creamy and bitterness similar to XO. The flesh is not as thick like Musang King. From RM 40 per kg a few years ago, now it can fetch up to RM 105 per kg. Black Thorn durian is quite rare to find and only a handful of durian stalls that offer. One of the most popular durian stalls that exclusively offer Black Thorn is Durian King TTDI. The original Red Prawn Durianis from Penang but it is hard to come by. Nowadays, you usually get Red Prawn Durian from Pahang. Why it is called Red Prawn is the flesh is orangey reddish colour (usually yellowish orange color). It is sticky and comes with a little sweet after taste but overall the taste is very enjoyable. Red Prawn Durian is usually around RM 20 – RM 30++ per kg. Red Prawn durian is one of our favourite durian types. The reason the named this durian XO as it has similar alcoholic after taste. The flesh is soft and the taste is very bitter and ‘alcohol-like’ after taste. XO usually comes from Pahang and Johor and it is quite common to find them in most durian stalls. It priced at RM 20 per kg and above. D24 Durian might not be as expensive like the other popular durian types but it delivers in terms of taste. The flesh is pale yellow and it comes with bitter taste. The taste might not be as strong as XO but it is still satisfying. D24 Durian usually available from RM 15 per kg and above. 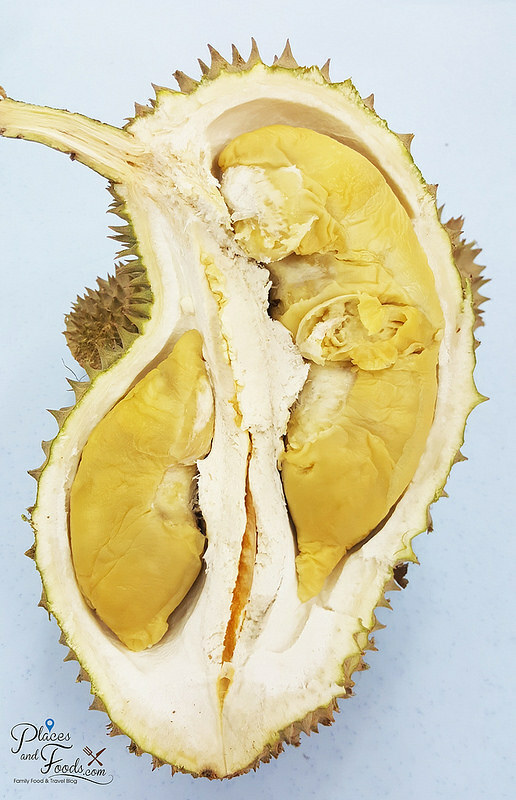 It is considered one of the affordable durians with pretty good taste. D24 Durian is common durian and you can find them in most durian stalls. D24 Durians come from Pahang and Johor. The name of Golden Phoenix might not popular in Kuala Lumpur and Penang but is very popular in Johor and Singapore. Golden Phoenix durian is strong in taste and it is sweet in taste with slight hints of bitter. The texture is soft and with small seed. Golden Phoenix Durian is a pure type durian. 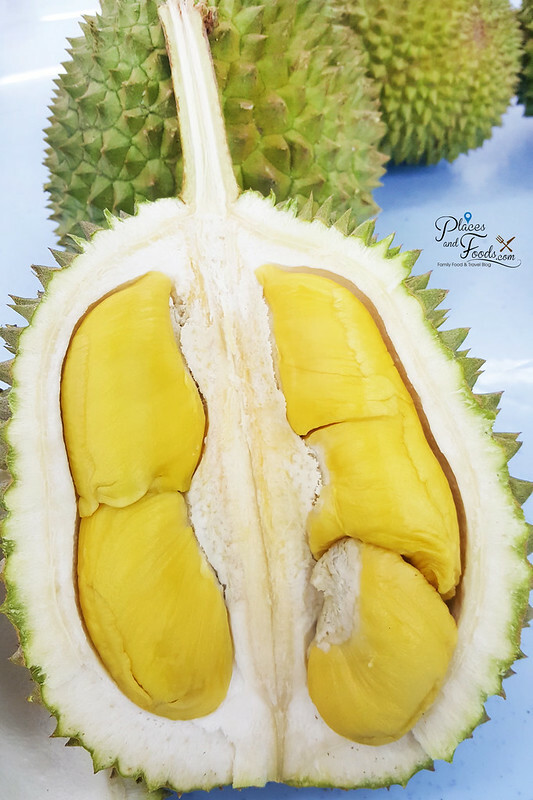 It is from the old trees and not a hybrid or a new type creation and that’s why there is limited stock for Golden Phoenix Durian. As we were told by John the owner of Sinnaco Durian Specialist, it is hard to grow Golden Phoenix and it is only available in Johor. That’s why Golden Phoenix is more popular in Singapore than Klang Valley. Where to find Golden Phoenix Durian? Sinnaco Durian Specialist in Seksyen 19 or SS19 is one of the places you can get Golden Phoenix. Make sure you call them first before you visit as this durian is rare and seasonal. The Pearl Durian is another rare durian from Johor. The Pearl Durian is another popular durian in Singapore. The flesh is soft in texture and the seed is small. 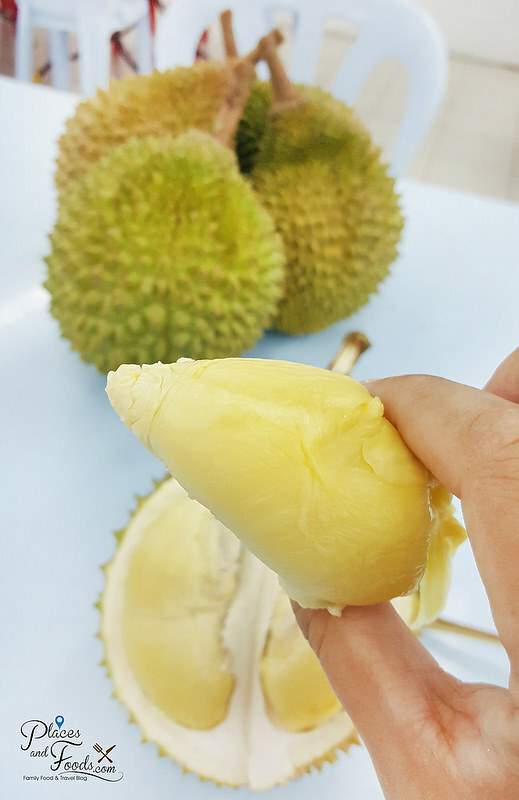 When you hold the durian flesh, you can tell how soft and creamy it is. The taste is of Pearl Durian is immense with sweet and bitter taste. It is very enjoyable and this gives a direct competition to Musang King in our opinion. 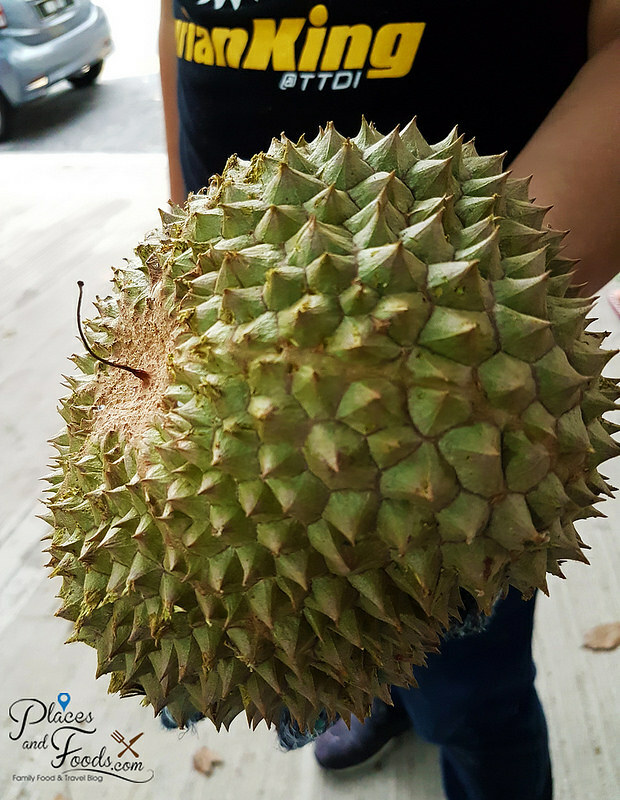 The Pearl Durian is quite hard to find and we usually get our supply from Sinnaco Durian Specialist. The Black Pearl Durian is similar with The Pearl Durian and it is another rare durian from Johor. The taste of the Black Pearl is bitter (more than Pearl). Since the supply is low so the Black Pearl Durian is usually expensive and can fetch from RM 48 per kg and above. We got our supply from Sinnaco Durian Specialist in SS19. We discovered this type of durian as there was a durian stall near our house used to have heaps of Teka or Green Bambo durians. The size of this durian is usually big and the seed of this durian is very small. The taste of this durian is bitter sweet and it is quite filling. You can find this durian in most durian stalls and it can fetch from RM 20 per kg and above. If you heard about Musang King but you must never heard of Musang Queen. It is called the ‘old Teka’ or D160 Durian. The shape of the Musang Queen is a bit odd. 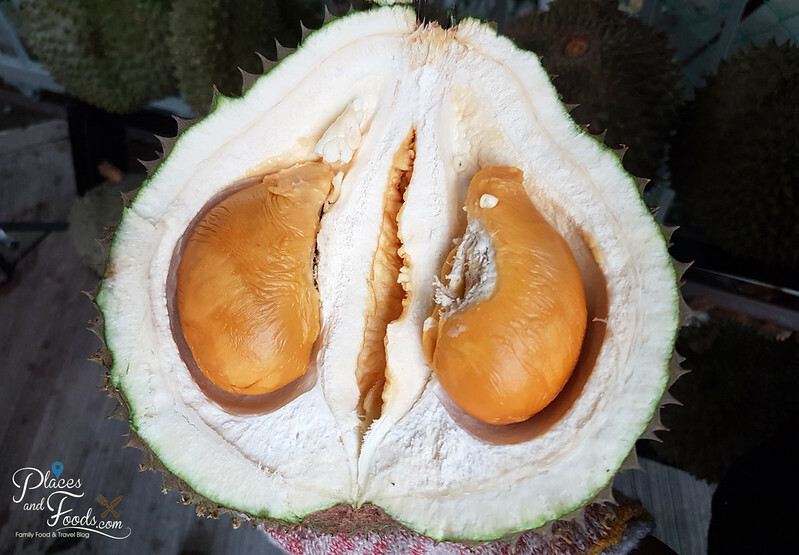 Even the characteristic is similar to Musang King such as the ‘pyramid’ thorn and also the ‘stars’ at the bottom of the fruit, the shape is kind of weird. The one we chose is quite long in shape like a pear. The taste is very strong in bitter taste with hints of sweetness. The taste is exquisite and it is stronger or more ‘kau’ than the normal teka. The texture is creamy and it is quite filling. If you like teka, you can always give this a try as this is quite uncommon. This will give XO durian a run of its money. We had this at Sinnaco Durian Specialist. Durian D13 or they called it the Golden Bun. It is not the same as the Golden Pillow. The colour of the durian flesh is deep yellow and the texture is creamy. The taste is pretty good and generally sweet. Check out our review below. This is another rare durian. Tawa Durian or also known as D162 is not popular and hard to come by. The look of the flesh is not that great but the taste is definitely one of the most bitter ever we tasted. The texture is light and creamy but the bitter taste is strong and we loved it. For RM 25 per kg during early of the season, it is still reasonable. The issue is this is not a common or popular type durian so you might not find this in many durian stalls. If you like bitter taste durian like XO durian, Durian Tawa is a great alternative which is cheaper in price. We had this in a durian stall in Kajang. To research the information of the durians, we rely on our Internet access and speed with our smart phone. Thus, we use our smart phone as GPS to visit durian stalls and places in Malaysia. It is important for us to have a reliable mobile data. That’s why we’ve never been disappointed with Digi Prepaid. Now my readers can #JomInternet Your Way and enjoy 2GB high speed internet at RM3 only. Or get RM 30 for 35GB monthly. Is 35GB too much for a month? Well, it is not especially we post constantly on our Facebook Page and Instagram. Thus, we love to watch Youtube videos where we are so 35GB a month is sufficient for us. Check out Digi’s latest Prepaid plan and also our social media postings on our Facebook Page and Instagram.